‘Great War MK – From Conflict to Cosmopolis‘ is a collaborative project led by the Arts & Heritage Alliance Milton Keynes (AHA-MK). It explores the impact of the First World War on the communities of Milton Keynes – an area now covering six towns, 41 villages and 1/4 million people – and examines their evolution from a time of conflict to that of cosmopolitan opportunities. 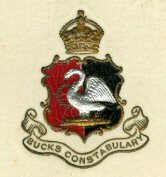 MKHA members which are participating in the Great War MK project are the Cowper and Newton Museum, the Living Archive, the Buckinghamshire Constabulary History Association, Deanshanger Village Heritage Society, North Crawley Historical Society and Simpson History Group. The Group hopes to bring to life some of those who gave their lives in the Great War, such as information about their dates of birth, parents and locations when the 1911 census was taken. As part of Great War MK a memorial display was created to remember the 15 police officers killed in action during their service in the armed services during WW1. 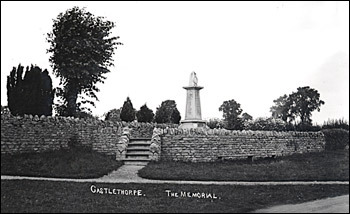 The monument erected to honour the men from Castlethorpe who fell in the service of their country, and in remembrance also of those who served in the Great War but were spared to return, was unveiled on 2nd April 1921 by Col. the Hon. The Cowper and Newton Museum in Olney is organizing several events as part of Great War MK to commemorate the Great War. As part of Great War MK the Serving King and Country 1913-1920 project will uncover life on the home front, those that served, those in reserved occupations – working on the land and at the famous E & H Roberts Iron Foundry. The Living Archive Band has been creating original music and lyrics inspired by stories and memories held within the Living Archive collection – many of these songs relate to the First World War. Our Great War MK project will focus on three aspects, the creation of new music, re-mastering of existing songs to add to digital stories, and a final public performance. 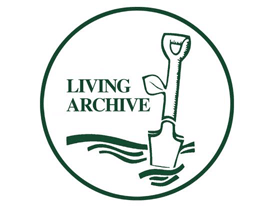 Living Archive would exhibit material from its World War One collection. War letters 1914-1919 for Newport Pagnell researched by John Taylor from local newspapers: Bucks Standard, North Bucks Times and Wolverton Express. Its Great War MK project aims to track all the soldiers from North Crawley who served in the Great War and to provide something descriptive and meaningful about each and every one of them. Sherington’s War Memorials are located within St Laud’s Church. The large plaque is for the 11 men who lost their lives in the First World War. To the right is a Roll of Honour to the 46 men from the village who served in the First World War. This Great War MK project is researching the 11 men from Simpson who died in the Great War: who they were; where they lived; their lives in this area before they enlisted; when and how they died; where they are buried; what decorations they received etc. In addition, it’s planned to research some of the 77 who served and returned to live in Simpson. The Towcester Area WW1 Commemoration Committee has been set up to mark the centenary of the First World War. Members include the Towcester and District Local History Society and it iss chaired by John Morris, Chairman of the Society. Details of the World War 1 memorials in All Saints Church, Milton Keynes Village and St Lawrence Church, Broughton Village. St Lawrence Church also displays the Roll of Honour of those from the parish on active service, 1914 -1918. 1914-1918, to perpetuate the memory, courage and comradeship of all those who served their countries during The Great War, with particular reference to the Western Front. 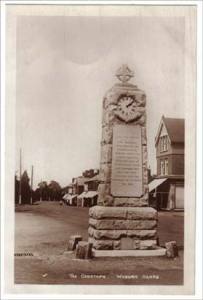 Research into the 1914 – 1918 War and its affect on Woburn Sands has provided information on each of the World War One names on the Woburn Sands War Memorial, details of others connected with Woburn Sands who lost their lives, and the story of the erection of the memorial after the war. There is also information on the Old Boys of The Knoll School, Aspley Heath, who are commemorated by a cross in the school grounds. Records the numerous men from around the Wolverton Area who enlisted to fight during World War 1 and entered the Oxford and Bucks Light Infantry. Presents information and photographs of Yardley Gobion during World War 1. 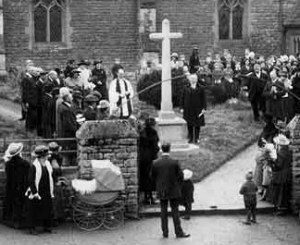 Ten men were killed in action who came from Yardley Gobion or whose family had moved away from the village but grandparents were still there. They are remembered on the Yardley Gobion War Memorial, a stone cross on a square plinth just inside the entrance to the village church, St Leonards.